"For the past 5 years, I've suffered from tendonitis in my thumbs and recently have also had a pain in my left hand when I use the computer. Now I use the Noni Nitro™ Tropical Lotion a few times a day. In just a week, this pain has become much less and at times is even gone." "I was diagnosed with MS in 1991. Over the years, my condition worsened and today I am in a wheelchair. Obviously my circulation is very poor and for several years I suffered from extremely cold feet until a friend suggested Noni Nitro, a natural supplement that has vastly increased my circulation. Cold feet are no longer an issue. I also suffer from convulsions and painful muscle tension and I took some prescribed medicine to help with these symptoms but the side effects left me unable to do anything except stay in bed. 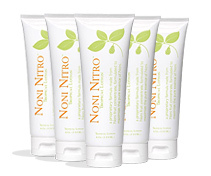 One day I applied the Noni Nitro™ on the areas that trigger the convulsions and on the painful muscles. It helped instantly and lasts for hours. 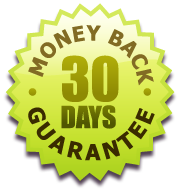 I am very grateful to my friend for introducing me to this incredible product."